physical health and is a motivational speaker offering workshops and online courses based on her book. 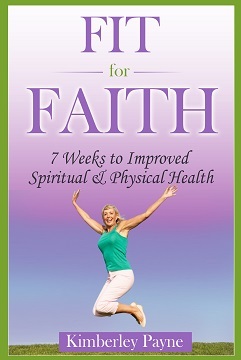 She hopes to inspire women to live happier, healthier lives that glorify God. Kimberley is happily married and lives with her husband in a village east of Toronto, Canada where she hikes and bikes. Visit her website. Kimberley, what do you love about this book? It’s like having your own personal trainer but without the cost. How did you decide on your topic and what do you hope readers will learn? As a former personal trainer, I often came across the same questions time and again. I wrote this book to help the reader wade through the myths and misconceptions that are out there. But it's also an awareness program. The reader is accountable to record their activities, and this helps to recognize where their strengths are and what areas they need to improve. Finally, it's a lifestyle change. Over the 7 weeks, the reader will gain habits that last a lifetime. Share two things you learned about yourself, your setting, or the publishing world while writing this book. I learned that prayer & Bible study are to the spirit what exercise and healthy eating are to the body, and I want to share this with women. I plan to continue to walk the talk and share my insights with women on my blog. 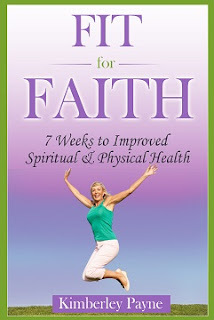 Lisa, thanks for featuring me and my book,Fit for Faith, on your blog! Many blessings to you and your readers. Delighted to share about you and your work.